Matt Forner: Continuing to up my production abilities and hopefully signing some tracks to some of the biggest labels in the industry. Also continuing to grow my brand and sound alongside my duties as A&R Manager for OHM Music. Matt Forner: I founded my own advertising, branding, marketing, and public relations company, Forner Agency. Maglev - his remixes are superb and always fantastic productions. Maglev - We recently released a track of his on OHM along with a remix earlier int the year. Blueprint - Ferry Corsten - The overall concept is fantastic...pairing it with live shows and bringing back Gouryella is really superb. All of the "In Search of Sunrise" compilations from both Tiesto and now Richard Durand. The older ones bring back tons of nostalgia from when I first started listening to trance in 2004. I'm happy the newer ones still have a tease of that old-school trance vibe that I fell in love with. I can't pick a specific one, I do like when labels push the envelope and are willing to step out and try something new. Destiny - Markus Schulz. The lyrics are haunting is a good way! Destiny - Markus Schulz. I like when artists really branch out and instead of just showing footage from festivals or clubs, tell a story visually combining film and music, two amazing art mediums. Ableton Live is my current favorite. I used to produce on FL Studio and I still do from time to time since in know it better. I'd love to try Cubase and potentially Bitwig. Can't pick one...so many great sets! Haven't been booked yet. Looking forward to what the future holds. A State of Trance is my favorite but I frequently listen to Corsten's Countdown and Global DJ Broadcast along with a handful of other ones. I frequently stay up to day with current releases on Armada and Black Hole Recordings along with tons of the indie ones. Pioneer CDJ-2000 Nexus...but I do want to try the new Denon SC5000! Not a new sound or style, but I love hearing the merging of different sub-genres within trance. Create a journey with your DJ set. So many sets are 1 hour or 1.5 hours which force artists to play shorter edits and mixes of tracks which can keep the energy high, which is good, but also lose the emotion of the track and overall set. Focus on your release quality over quantity. Artists can put out 15 tracks a year but if the quality isn't there, it doesn't matter. Focus on putting out quality and over time that will get you recognized. Releases might get you bigger quicker, but you'll burn out creatively and your music will become stale over time. Also, don't stick to one genre or sub-genre. Branch out! Argentina. The people are beautiful and warm and the culture is an eclectic mix of Europe and Latin America. Don't really have time to read any! From The Heavens - Ferry Corsten pres. Gouryella - Documentary! I always love the soundtracks on FIFA! I can't remember them all...usually their great memes on Facebook. Hearing the news that great labels are shutting down. 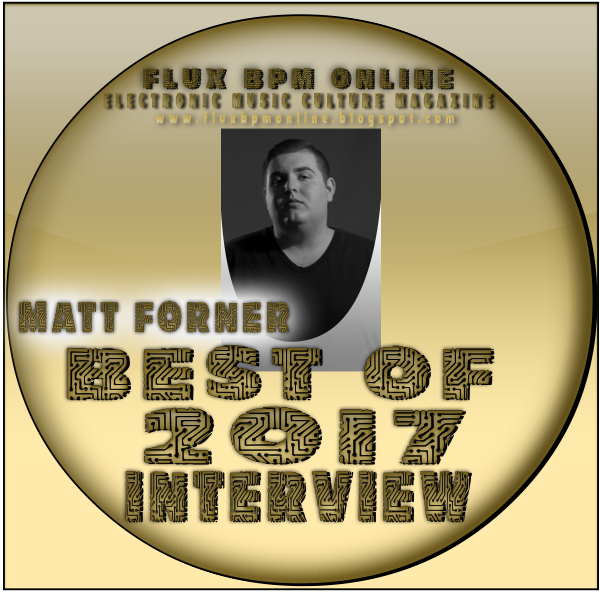 Matt Forner: I have a few vocal tracks in the works along with a half-dozen or so single releases either waiting for release or in the midst of signings. I'm always open for remixes if I love the track and I'm currently looking for a management and booking team to help gain better exposure and connect my brand with venues, clubs, and festivals worldwide.